There are no words to describe the connection between a mother and her child. The look on mom’s face, the exquisite trust in the baby’s face, a connection millennia in the making. Fleeting, tender, pure. I’m so excited to have you follow me around the circle to Krista! I’m secretly hoping to see an image of the newest member of her family. Perhaps we should prepare ourselves for some serious cuteness! This entry was posted in One on August 31, 2014 by sarahzalanphotography. i love your words, and your picture! Love this Sarah, unexpected and lovely. Especially for me since about to go back to raising another infant! Beautiful sentiment. 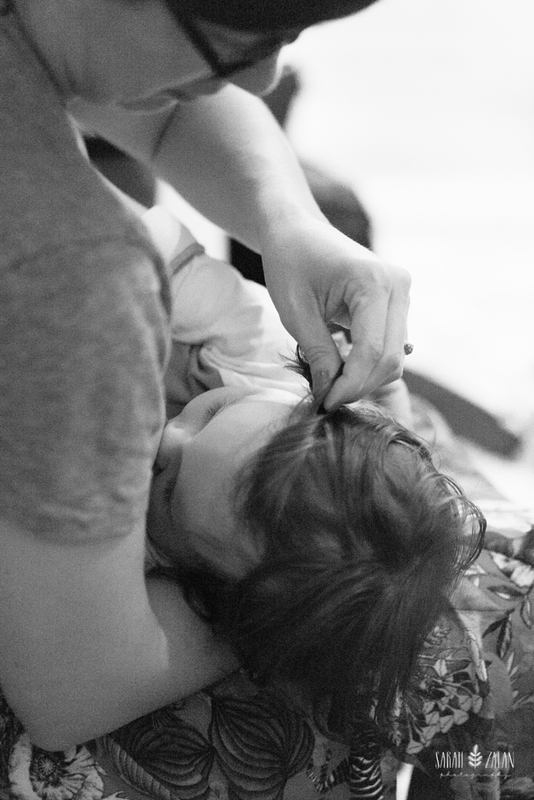 My eyes go to the way the mom is playing with the child’s hair. So sweet and tender! I miss those days! Beautiful image Sarah.